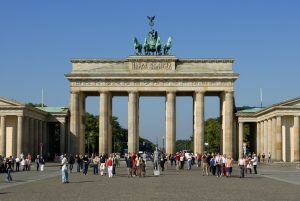 With over 3,5 Million inhabitants Berlin is the largest City of the Federal Republic of Germany. Berlin is considered the world capital of culture, politics, media and sciences. The universities, research facilities, sports events and museums of Berlin enjoy an international reputation. The metropolis carries the UNESCO title of City of Design and is one of the most visited centers on the continent. Berlin’s architecture, festivals, nightlife and varied living conditions are known all over the world. The city offers different transport opportunities for exploring the environment. Many Hotels offer bike Rentals or maybe you have a shop or rental station near by. 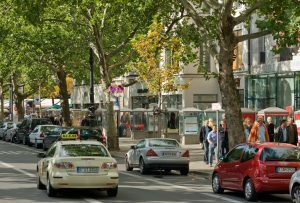 You can also take one of the serveral carsharing cars, which you can find distributed in the whole City. With the BVG, Berlin has a very well developed local Transport System. On the Homepage of the BVG you can start right away to plan your tour through the capital. The Company also provides an app for your mobilephone (only available in german), with which you can plan routes, see delays and can buy tickets. It is also advisable to take one of the magazines, provided in the BVG busses at the middle door, because they contain a BVG net plan for the trains and subways. Additionally you can take one of the 7500 caps driving through the streets. Berlin is an outstanding art and cultural center and has a reputation as a European city. As a production center for various branches of the creative industry, the city is increasingly regarded as an international attraction for cultural producers. 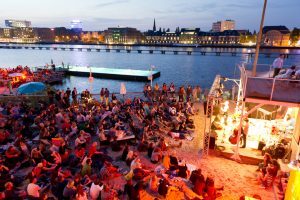 Renowned institutions of the high culture, daily happenings of the popular arts and a constantly changing scene life characterize the cultural landscape of Berlin. Berlin has a variety of museums. In 1841, a royal order, the museum island surrounded by Spree and Kupfergraben, in the northern part of the Spreeinsel, was a „district dedicated to art and antiquarian science“. 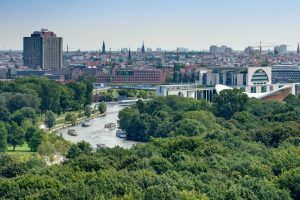 Already before, there was the Old Museum at the Lustgarten, which now had several museums, such as the New Museum, the Alte Nationalgalerie, today’s Bode Museum and the Pergamonmuseum. These museums are mainly famous for their exhibits from the time of antiquity. 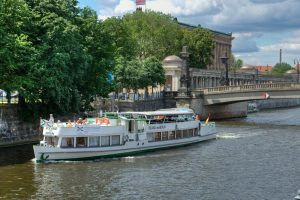 In 1999, the Museum Island was included in the UNESCO World Cultural Heritage List. To find out more about Berlin and possible activities during your stay, please visit visitBerlin.de or Berlin.de.